If you’re an entrepreneur, you’ll find that when you start your business you must decide on a structure – centralization versus decentralization. If your business expands, how will you control it? Will you have an office? Is it required that your team works at the office in order to drive value? As a business owner myself, I found these questions to be particularly helpful when developing the structure for my team to thrive in. Last week, I attended the Traffic & Conversion Summit of 2017. I found that there were more small vendors and individuals doing contract work remotely than I had previously thought… which brings me to today’s topic: centralization versus decentralization. Focus. When you have your team with you, it’s easier to have quick results. For example, if you have a project that is time-sensitive, then you won’t be worried about picking up the kids, buying dinner tonight, or anything else you might remember while you’re at home. 100% of your focus will be on work for that time. Communication. Communication is crucial, even if you have a decentralized organization. One of the perks of having someone in your office instead of off-site is that, well, they’re in your office! If you have any questions or concerns, your colleagues are right outside of your door. Conflict Management. If you have a miscommunication or issue with how a project is being conducted, you can walk to the next office rather than waiting until the next day to meet or talk. Don’t prolong your issues anymore than you have to! It’s easier to manage a conflict with someone if they are in a close vicinity, rather than miles away. Accountability. Every manager should be able to trust their staff, but let’s say you have a major account and you give it to one of your employees. You want to be able know what went wrong if someone decides not to work with your company anymore. The accountability causes everyone in a company to drive forward. One of my former students told me a story about his friend who works with a large amount of generation X’s and baby boomers. She is not only the only woman in the office, but she is the youngest there. She said her colleagues are rarely in the office, and when they are in the office, she hardly gets the information she needs. From the looks of it, the main problems she faces is a lack of clarity on her tasks, and communication. One day, she decided to take her work home with her, and stay home for the day. She operated like she normally would have, which meant calling her colleagues, asking them questions on how to complete the project. After 10 minutes, they realized she wasn’t at work and threatened not to pay her for the hours she worked from home. How could this dispute have been avoided? If you have a centralized organization, make sure that you are holding up your end as a leader in the company. If you combine a centralized structure with a decentralized attitude, that doesn’t work either. In this blog, we will discuss how decentralization and centralization can work together. This mix-up of structures and attitudes when evaluating your company can be the very thing that is destroying your company’s value Click here to download your free “Top 10 Destroyers of Value” whitepaper and discover other areas where you might be lagging in value. Now we will look at the difference between centralization versus decentralization. According to the business dictionary, decentralization is the “delegation of commensurate authority to individuals or units at all levels of an organization even those far removed from headquarters or other centers of power.” Or, in more simplified terms, delegating the responsibility and decision-making power to individuals or units, even off-headquarters. More change, adaptability, and growth. The long-term benefits of having a decentralized organization is the ease of growth. With a centralized organization, change is typically slower because of the many levels of approval and decision-making. With decentralized government, this process is quicker. Our team here at The Strategic CFO is mainly decentralized. Because my team consists of very few people, I prefer to have small huddles rather than constantly having them in the office. During the summer, we operate in an office 4 times a week to educate and train the new intern. After that, we operate on our own and meet once a week. This doesn’t mean that we lack communication. In fact, we communicate digitally the same, if not more, than we would in an office. One of the best parts of decentralizing my team is the ideas that come out of it. If I didn’t have a decentralized team, I probably wouldn’t have as strong of a website as I do today. hat we’re starting to see more now than ever is combining both centralization and decentralization. If you’ve ever tried both centralization and decentralization, you’ll realize quickly that doing too much of one or the other might be detrimental to your company. An example of combining a centralized structure with a decentralized company is Asana, a project management application. 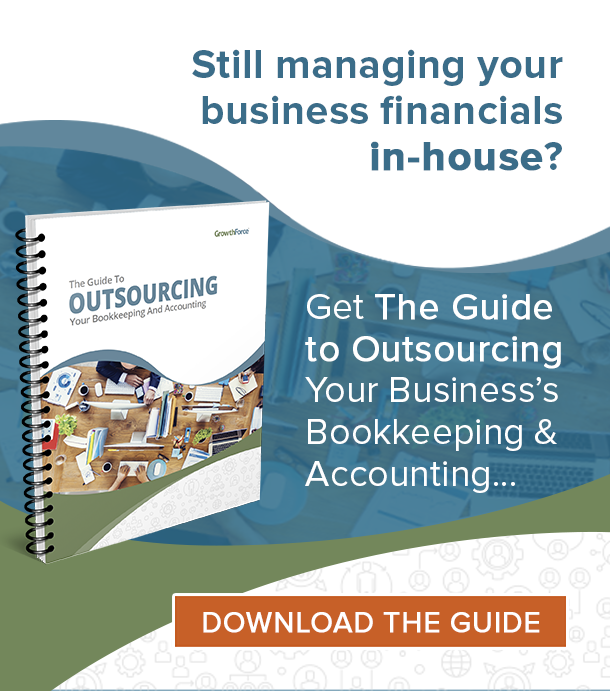 We use it here at The Strategic CFO, and it manages all of our tasks. It’s easier to review and manage progress, rather than letting everyone roam freely. Like I mentioned before, too much of centralization versus decentralization, or vice versa, may be damaging to your company. Our generation likes structure, because that’s what we’ve seen for years. When the new generation entered the job market, we started to see the structures evolve into a more decentralized structure. Are millennials killing centralization? Or maybe it was the applications people have created to make structure easier for decentralization, such as Asana. In the end, you have to focus on moving your company forward. There is no right way to do things… but you have to realize what is best for your company. This may mean changing what you consider a “normal” structure. When you figure out what works, you’ll start to reap the benefits of centralization versus decentralization, or vice versa. So what do you think kills centralization? Leave your ideas in the comments below! 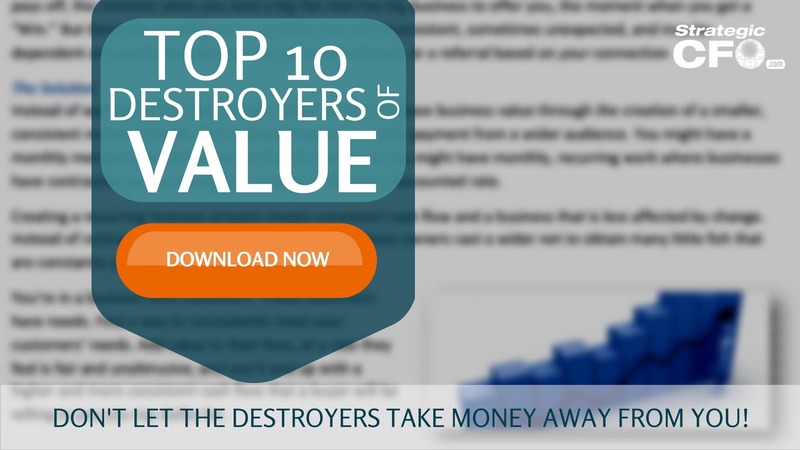 Download the Top 10 Destroyers of Value to learn what is destroying your company’s value. It may be centralization or decentralization! 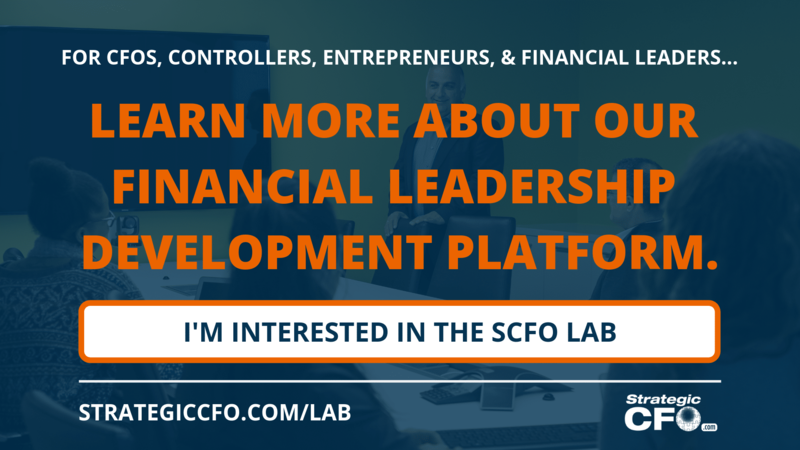 Maximize the value of your company by clicking below and get an exclusive invite to our Strategic CFO community. Don’t let the destroyers keep taking money from you! 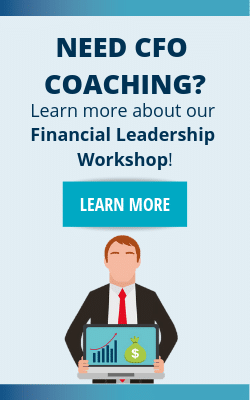 Do you need to be a CPA to be a CFO? 2 Responses to Is Centralization Dead? Centralization of marketing makes your company slow, inefficient and cost ineffective just like most governments.